Guitar Hero Live marks the return of a series that changed the rhythm game genre forever when it began in 2005. After 2010, it seemed like the series was dead. Guitar Hero: Warriors of Rock launched, but it looked like that was the end of things. Industry experts declared that the era of plastic guitar controllers was over, and we believed them. Now, though, in 2015, Activision and Freestyle Games have decided to prove them wrong – and they definitely succeed. 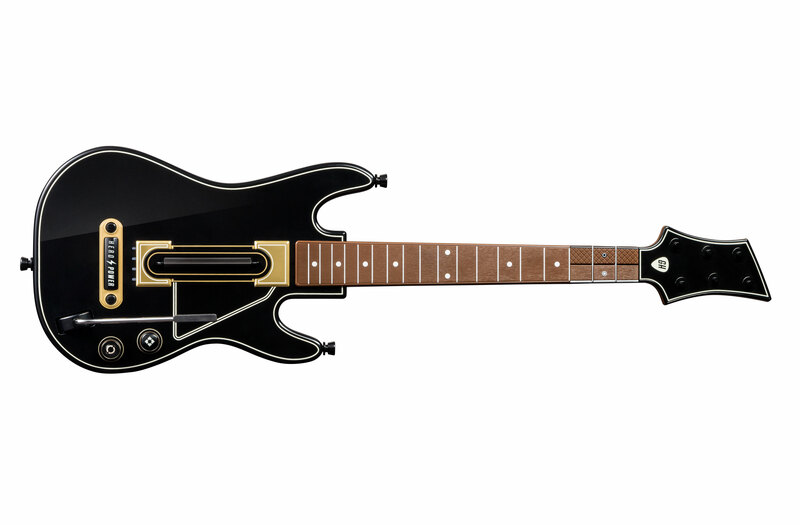 Let’s start by talking about what might be the biggest change that Guitar Hero Live brings – the new guitar controller. Instead of the traditional single row of four buttons, the new controller has two rows of three. This is a bit hard to get used to at first, but it makes a lot of sense. This way, you can keep your hand in the same position throughout a song, and switching between the rows better emulates the experience of actually playing guitar. My personal favorite is when you’re faced with chords that require you to use both rows at once (you might be hitting the bottom row on the first fret, the top row on the second, and the bottom row on the third). This adds a lot of challenge to the game – you can avoid this type of thing on the easier difficulties, which are just as fun. On previous guitar hero games, I’ve had to skip right to expert difficulty to have any fun. This time around, I had to spend a few hours on regular before moving to advanced. The game is simply more challenging and more interesting with the new controller, and there’s a new sense of satisfaction when you finally nail an awesome solo. I’m a huge fan of the new controller, and I can’t imagine ever going back to the traditional Guitar Hero controller. It might be weird at first, but trust me – you’ll love it after just a few songs with it. 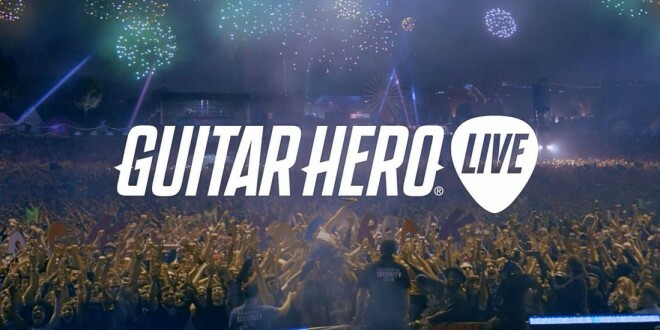 The traditional “career” mode in Guitar Hero Live is simply called GH Live. Here, you’ll hit the stage with real actors to rock out in front of a real crowd. 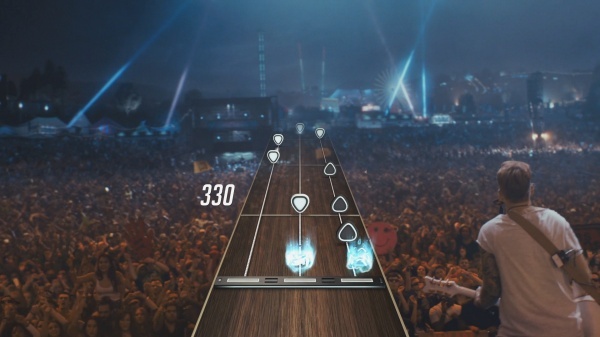 Using full motion video (FMV), Guitar Hero Live really makes you feel like you’re playing a huge stage at a music festival. The only downside is that you don’t really feel like you’re in a band. Different sets will have you on stage with different bands, and I’d almost rather have played GH Live with just one group. At least I could have developed some kind of relationship with my fellow musicians. If you do well enough on a song, you’ll learn a bit more about the members of the various bands, but I feel like there was a missed opportunity here – like the older games, you could have started out as an indie band and made it big over time. It would have added much more of a story to the game. 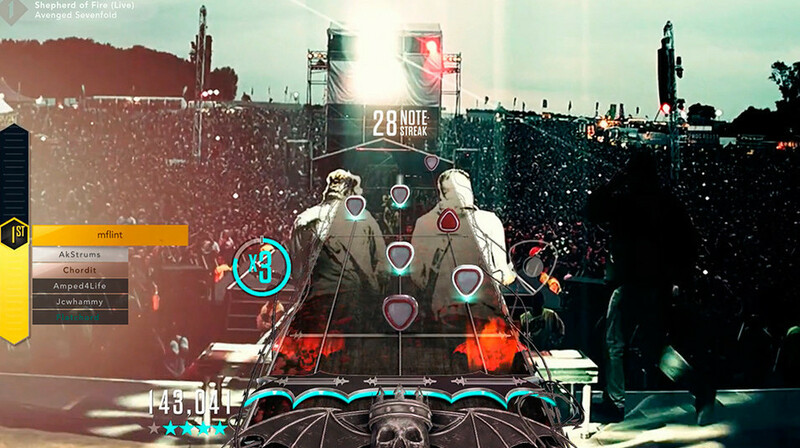 But story isn’t really what Guitar Hero Live is about – it’s about rocking out, and it does this very well. It’s fun to watch the crowd sing along and react to your performances, and it’s definitely the most unique Guitar Hero game that’s ever been made. The downside to GH Live is that there is a relatively small track list – they’re mostly great songs, but I ripped through GH Live in just a few hours. I’ve spent far more time with GHTV. While GH Live is more of a traditional Guitar Hero experience, I think that GHTV is what makes Guitar Hero Live special. It’s basically like MTV, except you play along with the songs using your controller. There are two channels that are live 24/7. There are “programs” that play on the channels, which consist of a series of music videos that correspond to a certain theme. For example, there might be an indie pop program that lasts for half an hour on channel 2, while an hour long metal program might be playing on channel 1. You can switch between channels at any time (in case on channel is playing a song you don’t want to play), but you have no control over what songs are playing or what programs will be live at any given time. This is the only (and biggest) downside to GHTV – previous Guitar Hero titles have allowed you to select the song you want to play, and rock out with it as long as you want. This is certainly still true in GH Live mode, but the fact is that GHTV has over three times the amount of songs as GH Live, with more supposedly on the way. That means that your favorite songs are more likely to show up on GHTV, and if you want to play them during a time when they’re not being broadcast, you’ll have to use one of your precious “plays.” When you start playing GHTV, you’re given a pack of plays, and you’ll earn more every time you level up (more on that later). If you use all of your plays, though, you have two options – you can either play GHTV until you level up, or you can buy more plays with real money. I personally don’t mind playing through songs I don’t know on GHTV – there’s an element of music discovery here (like MTV mixed with Pandora, but in Guitar Hero Live), and it’s fun to see music videos that I’ve never seen before. Sometimes, though, you’re going to want to try your favorite songs over and over again until you get a perfect score. There are also times where you’ll just be in the mood for a certain song or artist. These are the times when GHTV can get annoying. However, if you play enough, you’ll end up with enough plays to make you feel comfortable enough to spend them. I can see, though, the possibility of some players burning through their plays in a matter of hours and then feeling cheated because they either have to play through songs they hate or drop real money on a game they already spent at least $100 on. This is, of course, an alternative to the DLC system that games like Rock Band have decided to use. By using the play system, it allows Activision to continually update GHTV with new songs and videos with no cost to the player. I personally prefer this model to the alternative, which would have me paying $5 for four songs I hate and one song I love. 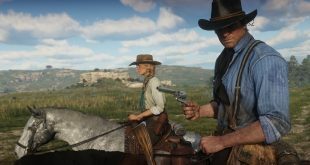 It would be nice, though, if there was some sort of system that allowed you to play a song as much as you want if you earn a perfect score on a certain difficulty or hit certain milestones. There’s also a mode called GHTV Premium, where you can try out new songs that will soon make their way to the GHTV track list. If you meet certain qualifications (e.g., getting three stars on a select few songs), you can get access to special sets. The one that Activision has been advertising most heavily lately is the Avenged Sevenfold set, which allows you to play along with some live tracks while watching a live performance by the band. This is a nice break for when you get tired of standard GHTV, and it’s awesome ti be able to check out new songs before they hit the regular rotation. The only downside is that you’ll have to use some of your plays to play the songs you’ll need to unlock the sets – either that, or you can just wait for them to pop up on one of the two GHTV channels. Either way, GHTV Premium is pretty cool. It’s not quite amazing, but I can see a lot of potential for future use and good interaction between the developers and the players. GHTV is always online, and you’re always playing with or against other people. On the left side of the screen, you’ll see a leaderboard where ten players will be ranked on their performance. The better you play, the higher you’ll climb on the scoreboard. Depending on the points you earn and the place you finish in, you’ll earn experience points and coins. Experience points will allow you to level up, which will unlock free packs of plays, new aesthetic items (like fretboards and player cards), and boosts (like base score boosts or an expansion of your maximum multiplier). This makes GHTV extremely addictive. I can’t count how many times I’ve said “I’ll just play one more song” before seeing how close I am to leveling up and continuing to play for another hour or two. It’s also awesome when you’re planning on putting the guitar down, but you see the next music video load up, and you love that song so much that you can’t help but keep playing. On the other hand, you might find yourself stuck with a series of songs you hate – in which case, you should use your plays (just don’t spend them carelessly, or it’ll cost you). 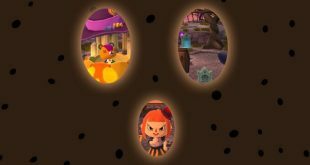 This level up system and multiplayer competition is, in what makes GHTV a more entertaining experience than GH Live, even though the play system is problematic – especially for an already expensive package. 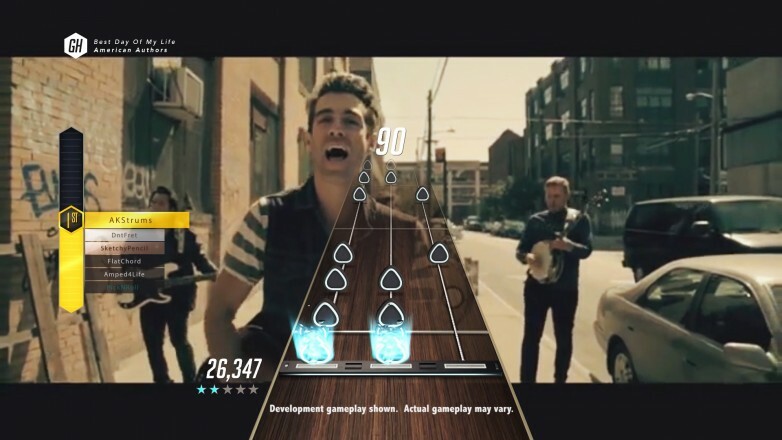 The one place where Guitar Hero Live drops the ball is local multiplayer. First, you’ll need to buy two guitars. This is already frustrating, given the price. Once you’ve got two guitars, you can rock out together – just like previous entries in the series. The difference is that there are no longer different tracks (e.g., guitar and bass). You’ll both be playing the exact same track, which makes competition more fun, but co-op play a bit less satisfying. It’s great for parties, but for best friends trying to get the experience of playing music together, it’s underwhelming. You can bring in an extra player for GHTV as well as GH Live, which is cool. You can also connect a microphone (Activision suggests doing this by using the companion app on your smart device), but I haven’t had much luck with the microphone app. It’s hard to set up, and it’s not as accurate as an actual mic. If you want to sing, I’d suggest using an actual mic that you can connect to the device you’re playing the game on. While the online multiplayer on GHTV is pretty cool, the local multiplayer is a bit disappointing. Overall, Guitar Hero Live surprised me. 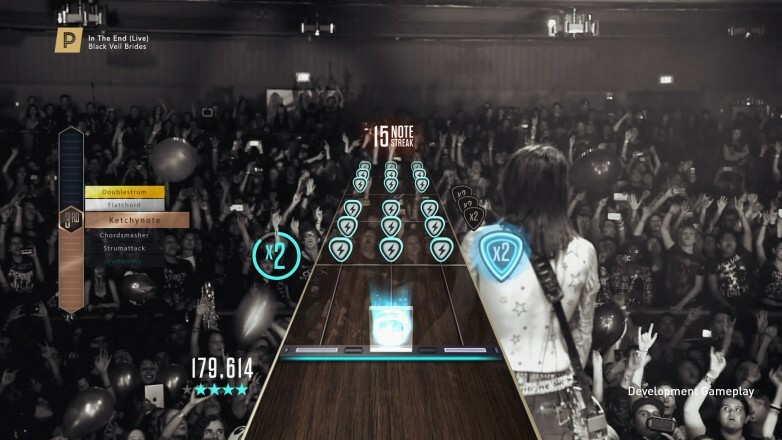 I expected something like a remastered version of a previous game, but what we got is an entirely new Guitar Hero experience that, while not perfect, is a lot of fun and proves to be extremely addicting. Guitar Hero is back – and I couldn’t be happier about it. I can’t wait to get back to playing Guitar Hero Live, and that feeling is really exciting. I highly recommend the game if you played the older titles or if you’re a fan of rhythm games, music, or fun. 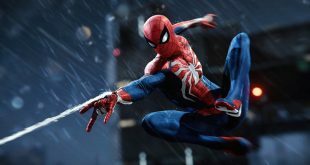 This is a game you’ll definitely want to check out, if only to see how far the franchise has come. Review copy (Xbox One) provided by Activision. 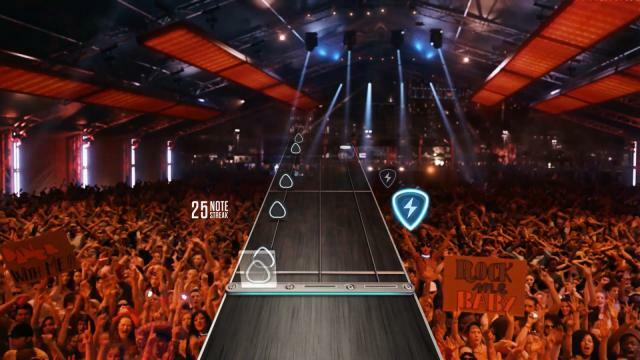 Guitar Hero Live brings the series back to life with brilliant style. An excellent selection of songs, some great changes, and the awesome GHTV mode makes this one of the most impressive titles in the series, and a must-play for fans of peripheral-based rhythm games.